The new space in Bevo Mill being brought to new life by the developers of the Majorette and Boo Cat Club has, as Stefon of Saturday Night Live would say, everything: an old German biergarten. Naked cherubs on tile. 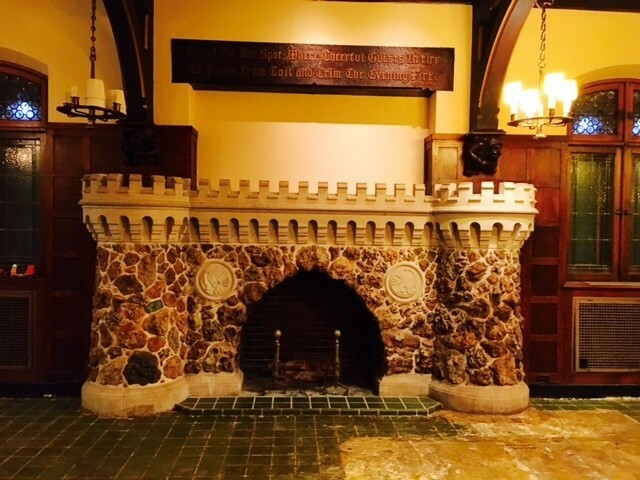 A fireplace with turrets. 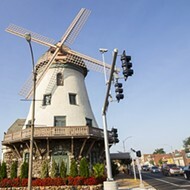 And that doesn't even get at the best part: A windmill with a five-story vaulted ceiling. It also has one of the best names we've heard in recent memory: Das Bevo. Seriously, doesn't it sound like it could be a hot German metal-themed club? 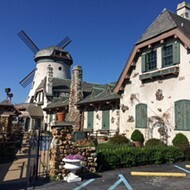 As the RFT first reported last spring, Das Bevo — previously known simply as the Bevo Mill — was originally owned by beer baron August Busch Sr., who built it 101 years ago to be a pit stop on the harrowing drive from his Soulard brewery to Grant's Farm. He transferred it to the city in 2008 for $1. The city leased it to a catering operation; after they pulled out, the city put out a request for proposals. The selected proposal was made by Pat and Carol Schuchard, who purchased the building and are now working feverishly to bring the structure into the 21st century. And as you can tell from that name, they're doing so with a bit of a wink at the space's German heritage. 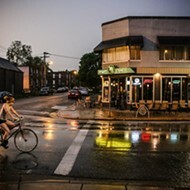 "It is a beautiful, amazing place — one of those places you would only find in St. Louis," Pat Schuchard says. "If people love it from their memories of it, we think a new generation of will love of it too." And, he adds, "Maybe the Bevo Mill has a strong enough sense of place that it can make a little fun of itself, too." 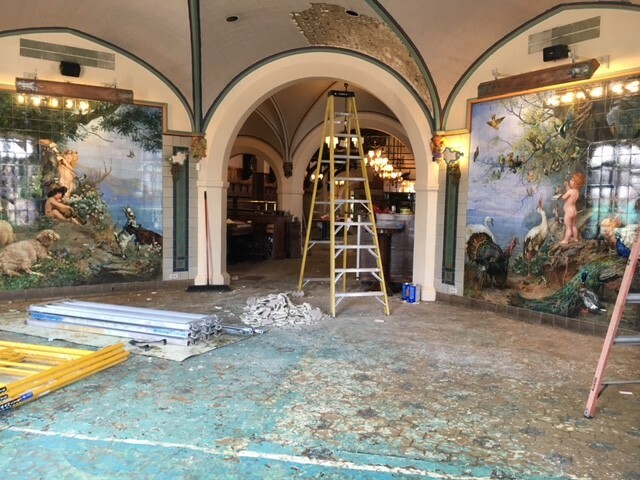 Renovations are currently underway, but as Schuchard explains, that's less about adding than subtracting: "We've taken out three trailer-trucks full of trash — bad partitioning, bad carpeting." Underneath those unnecessary add-ons, he says, it's a beautiful space. "The tile floors are priceless. We're used to renovations some really awful buildings. This one was in great shape." Pat Schuchard was a professor who taught painting at Washington University; his wife Carol is an artist. After their retirement, they moved to a gorgeous spot in the mountains above Boulder and renovated an old building into a successful bar, event space and music venue called the Stage Stop. But they missed their grandchildren — and St. Louis. "We just decided we're more city people," he says. They returned to Missouri and have been tackling nifty historic renovations ever since. This latest project, though, might be their biggest yet. Unlike their other St. Louis spaces, which lease only for special events, this one will offer a full restaurant open seven days a week. 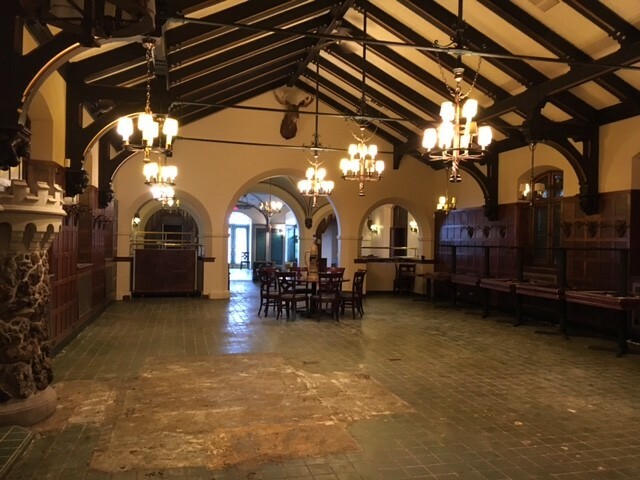 They call it a biergarten, but Pat Schuchard says it will have a full menu and it will be open year-round (2,000 square feet will be accessible in the winter, and twice that when the al fresco component opens in nice weather). 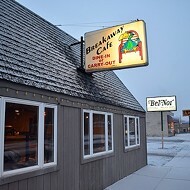 Brunch will open to the public every weekend as well; they hope to have a live music component and open regularly for performances. 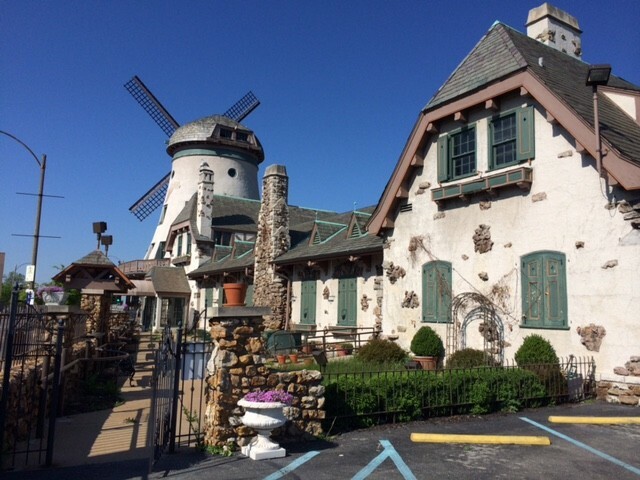 And for those looking for a place to celebrate a big life occasion, they're already taking reservations for wedding and other special events inside the mill itself. An on-site bed & breakfast is also underway. Like we said, Das Bevo has got everything. Check out dasbevo.com for more info. Schuchard says the brunch space will be the first component to open — possibly as early as March. He hopes to have the biergarten open by summer. 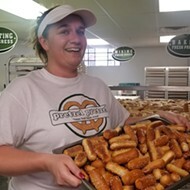 Schuchard says they hope to piggyback on the vibrant scene underway in the Bevo Mill neighborhood, referencing places like Heavy Anchor and the Silver Ballroom. "People have been toiling away through a lot of bad publicity," he says, referencing some of the high-profile crimes that have shaken south city. "But there are all kinds of great restaurants and venues here." Soon, he hopes Das Bevo is among them. 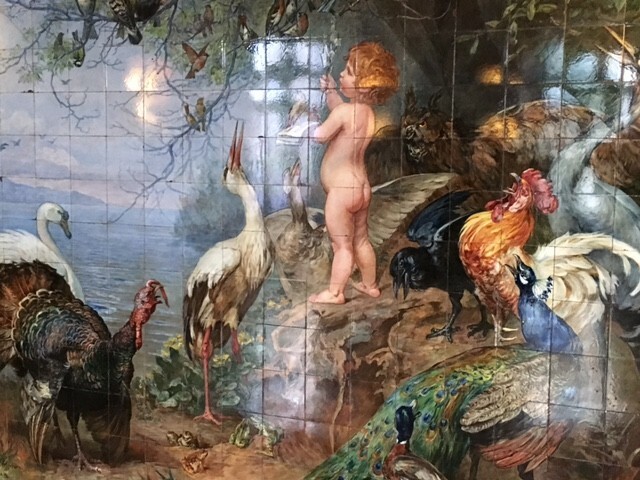 A detail in Das Bevo's tilework. Talk about Old World charm.